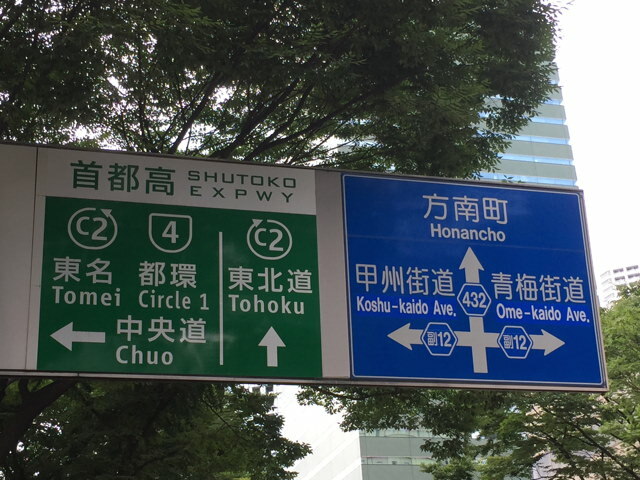 While walking around western Shinjuku, I found that every street had a "副" route number like 副12 below, though all were signed sporadically, some were signed without the 副, and the east-west routes were not signed at all. I finally got a chance to do some research: all the 副-numbered streets were created in the late 1960s when that area of Shinjuku was redeveloped. They all have "secret" route numbers in the 3500s. The system does not appear to be used anywhere else in Japan.